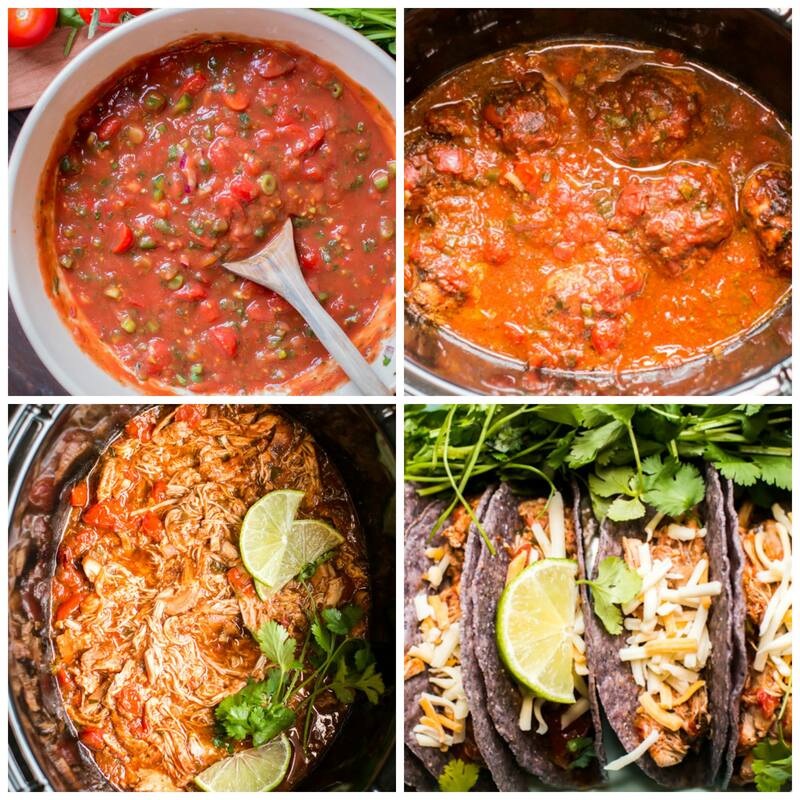 This Slow Cooker Homemade Salsa Chicken is tender and flavorful. This recipe makes plenty of extra salsa for topping the tacos or burritos! 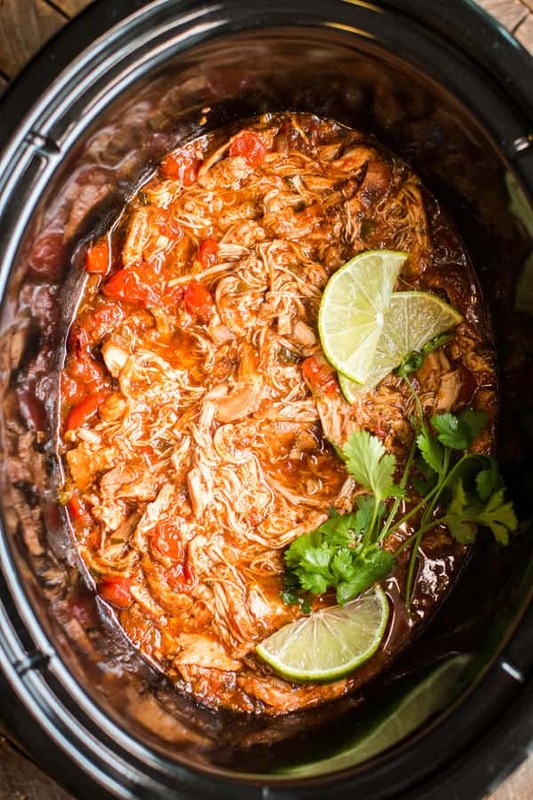 Have you ever made salsa chicken in the slow cooker? 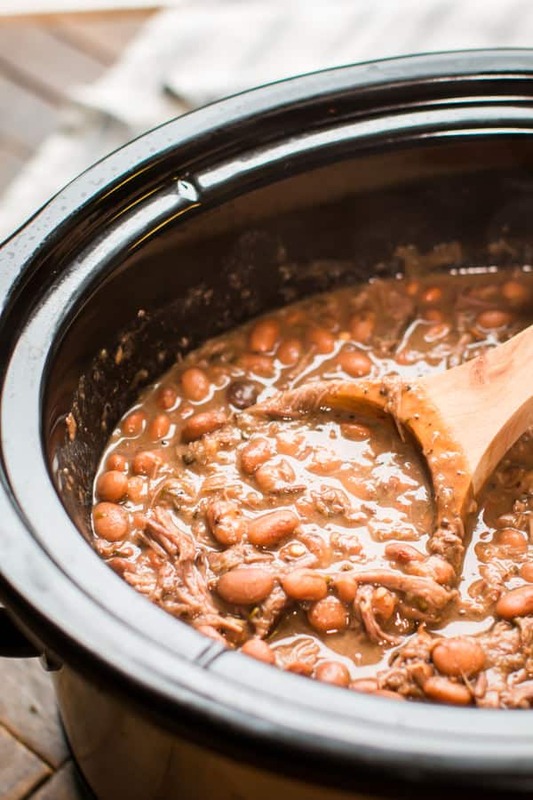 It is usually my go to pantry slow cooker meal. 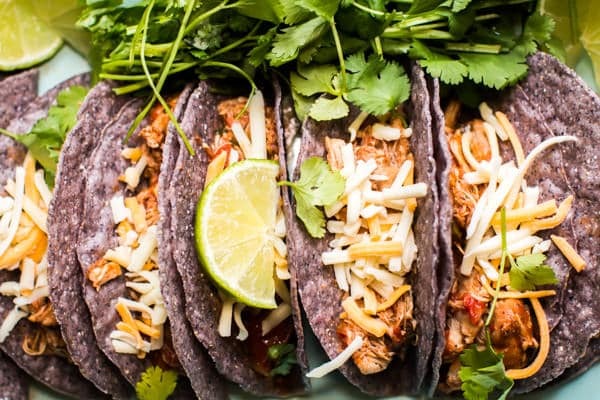 The standard recipe is chicken breasts, a jar of salsa and a half packet of taco seasoning, but it can be blah especially with chicken breasts. My best friend was telling me about a salsa recipe her brother had made for her, I had to try it! Then I got to thinking how good this salsa would be cooked with boneless skinless chicken thighs. This recipe also makes enough extra salsa to have for topping the tacos or burritos or for having to dip chips in. I think the best thing I learned from making this salsa was using tomato sauce as a base. The tomato sauce gave this salsa a lot of smoothness. In the past I have used crushed tomatoes or diced, or no base at all and did not have such good results. In addition to the tomato sauce I added cherry tomatoes, vine ripened tomatoes, cilantro, green onion, garlic, red onion, jalapeno, lime and salt. 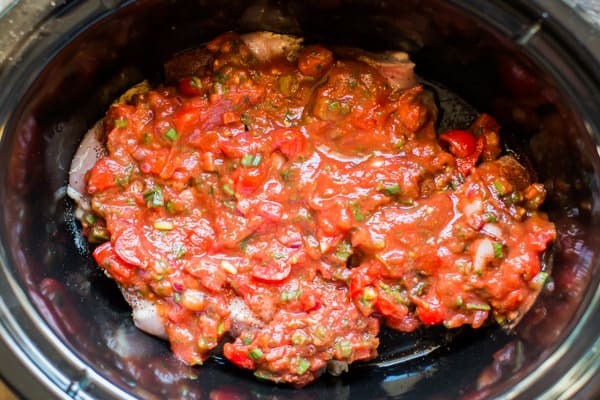 I take part of the salsa from above and put it on seasoned boneless skinless chicken thighs in the slow cooker. I save the rest of the salsa to go with dinner. I am very careful to separate the salsa before getting the chicken out of the fridge and handling it, don’t want to give my family salmonella! Below is what the chicken looks like after cooking. See the color of the salsa! It changes flavor being cooked with the chicken! I shred the chicken with 2 forks and dinner is ready to be served! 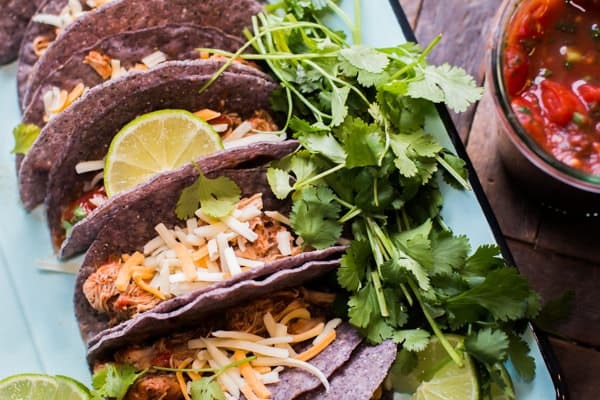 I decided to put this chicken in blue corn taco shells, though you can serve this chicken anyway you want! This meal is worth trying if you love homemade salsa and a good taco! Have a great weekend. I will be back early next week with a new recipe. 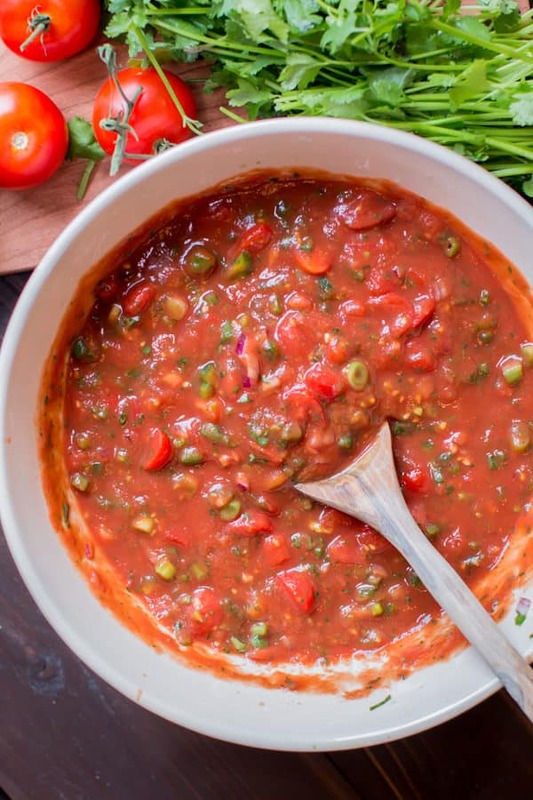 Make the salsa by combining the salsa ingredients in a large bowl, taste the salsa. You may want to add more of one ingredient, make it to your taste. Add the chicken to the slow cooker. Sprinkle over the salt, pepper, onion powder, and chili powder. Pour over just 2 cups of the salsa, saving the rest of the salsa for serving. Be careful to separate the salsa for serving in a clean area of the kitchen where you won't contaminate the extra salsa with chicken germs. Cover and cook the chicken on LOW for 5-6 hour or HIGH for 4. Serve in tacos or burritos with remaining salsa. This sounds very good. I think I will try it with bone in thighs and drumsticks and serve them over rice. 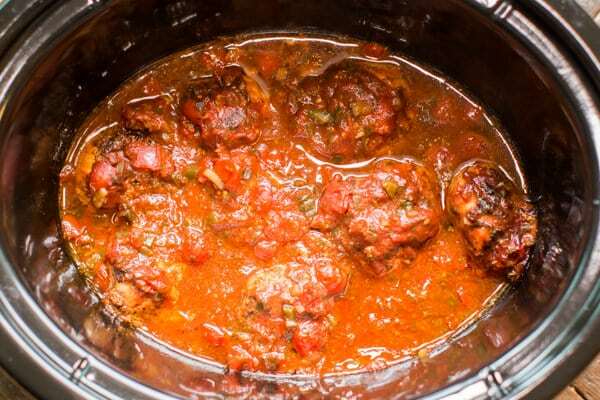 Kind of like a Mexican Chicken Cacciatore. I make homemade salsa from our garden every year, so how many jars should I use? Is a pint enough? Hi Paula, a pint is 2 cups I believe. Yes I think that would be plenty if you use chicken thighs. I would use a touch more if you use breasts, they tend to dry out. This sounds great! I make something similar that uses rotel but I’d much prefer the homemade salsa!! Btw An easy way to shred chicken in the crock pot is to use your hand mixer on low… Takes seconds to have perfectly shredded chicken!